Navigation: Home » Personal Finance » Can You Trust A Roboadvisor With Your Money? Can You Trust A Roboadvisor With Your Money? Can you trust a roboadvisor? And, by the way, what is a roboadvisor? The definition of Roboadvisor still isn’t fully set in stone, but roughly speaking it’s a software tool which manages your portfolio and gives financial advice and action items without the need to consult (often) an outside human advisor. Because there are so many American with similar financial goals, responsibilities, and amounts saved it makes sense to offload some of the advisor burden onto an algorithm – unlike in business, often the best move with your finances is just to do exactly what others are doing and have done before. Gallup set out to answer that very question, asking Americans if they would want a single human financial advisor, a roboadvisor, a combination of the two, access to on-call financial advisors… or other/none/not sure. The plurality went to the human advisors: 49% saying they wanted the individual attention of a single advisor and 18% opted for the stable of on-call advisors. There was a follow-up question as well which really underscored how wary of roboadvisors we still are: 62% of respondents wanted only human help or a majority of human help, while 27% preferred to trust a roboadvisor with a majority of decisions… with humans on call. Only 9% of respondents wanted only digital advice… surely an important datapoint for the large number of Financial Technology companies currently targeting the space! The survey is worth reading in full, but it leads us to bring up a lot of interesting, recurring themes with human experience and automation. Although we’re warming up… at least in part… to the idea of some of our financial advice and investing tips coming from an algorithm, humans still prefer the emotional check of another human to the cold, calculating rationality of a machine. We alluded to the bedside manner of doctors in this section’s heading, which has long been an important field of study, and can certainly help patient outcome. It came up in elevators – where humans resisted user-operated elevators when elevator operators once were supreme – which has echoes today in state laws and policy. And, perhaps at the forefront of public discussion – it comes up in automated cars (ironically, automated automobiles), where the safety record of robot-operated vehicles is superb compared to our fallible human peers. Perhaps, like so many other things in life, our reluctance to trust a roboadvisor comes at least in part because of psychology. There is a concept where things that look real but not exactly real (a concept known as the uncanny valley) cause the greatest reactions of disgust amongst humans (So, FinTech… careful about how friendly you make your roboadvisors). What Benefits Will Come if We Trust our Roboadvisors? There are many great theoretical effects that would come to us if we can convince enough of our peers to trust a roboadvisor. First, the cost benefit is incredible. Like all software, the marginal cost of spinning up another instance of a roboadvisor is just-about-nonexistant. Just as the marginal cost of you reading this webpage is immeasurable (we serve up 100s of thousands of pageviews a month for < $10), automating common financial advice could go a long way to expanding access for those in most need of help. In other words, it can go a long way towards solving that paradox of financial advice – often those who need it the most are the least able to pay. Second, it can automate a lot of the incredible value adds that are tough to do today. Tax loss harvesting is the first thing that comes to mind. If you’re unfamiliar, the IRS allows you to write down your income when you sell stocks at a loss, so long as you don’t buy the exact (or substantially similar) asset within a fixed time frame. It’s incredibly tedious work to always be shifting in and out of funds to capture tax benefits and computing the breakeven for when it is worth making the switch – not to mention the reporting requirements for your tax returns. On top of tax loss harvesting, roboadvisors and algorithmic management can help you find opportunities in account types, tracking eligibility to the dollar in real time as you earn throughout the year. It can help recognize shortfalls and surpluses in checking accounts, automatically moving money to long term savings. With a little advancement, it can even help you plan purchases – finding the best combination of savings vehicle, and maybe even one day the best rewards when you go to pay for whatever you are buying. And that’s just off the top of my head. Surely you can think of some more. Third, it opens up the best Financial Advisors to more people. Humans are always going to be better at the human element, no matter how much we end up trusting our roboadvisors. However, a move to majority automatic financial advice would mean our best advisors would have more throughput and be able to see more ‘patients’ – either for periodic checks on a long term plan, or to address those corner cases which software wasn’t built to handle. Just like the aforementioned driverless cars, expect to see a lot more innovation in the roboadvisor field. As people appear to not mind at least some of their advice coming automatically, expect to see a lot of Financial Technology firms moving to Advisor guided roboadvisement sessions, or more human staff on call while people have their robo-advisement sessions. The future is undoubtedly bright in the field, and the momentum towards automation is clearly there. Clearly we’re going to see big changes – even innovation that we had no idea was possible or probable – before too long. The only thing we know for certain is that big changes are coming… and people will probably become more and more comfortable with the offerings out there. 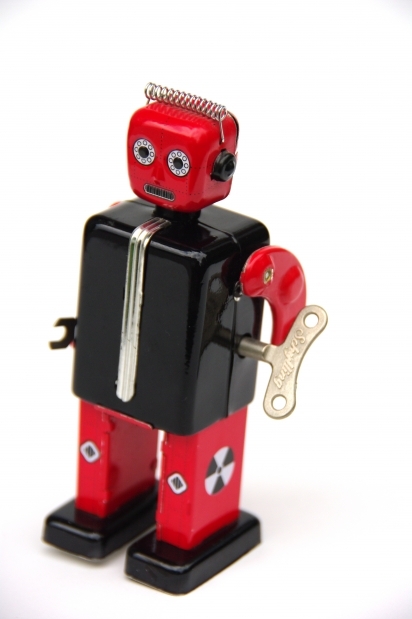 So, dear reader – could you trust a roboadvisor with your money today? What would it take for you to give a robot control – or at least allow it to guide you? What do you think we’ll see in the next few years? I think this depends solely on the person ho is investing and what their goals may be. If need the roboadvisor to help you save and create a mathematic plan for your goals, it might be a great idea. Other people value personal relationships and encouragement. You will be missing this if no longer have a real advisor. And how about a split option? Would you prefer an advisor with a robo backup, or a robo with an advisor backup? A human hands off approach is a very good idea as proven over time. I’ve been hearing more and more about these. Thanks for the post with good starting information. I’m sure it will be a growing topic as long as they make people money! Absolutely – I think we’re going to be hearing a ton about robos as they are refined and more and more people get used to them. I’m not sure what the dominant model will be, but I’m definitely excited for advisors to get cheaper and help more people on the spectrum – it would be great if buying financial advice wasn’t such a huge financial commitment. I think the poll preferences would change if everyone understood the costs of robo-advisor vs. human advisors. robo advisors charge around 0.25% and human advisors charge around 1%. of assets under management. Additionally, human advisors use robo advisor software to construct the portfolios of their clients so a robo advisor simply cuts out the middle man..
Robo advisors are a great option for the vast majority of investors who have basic retirement portfolios and simple investments. Of course if you have complex investment needs, a human is best for now, but not for long. The fiduciary bit might change soon it seems. We’ll see how that affects the advisor market (and if, as rumored, it affects other financial advice givers/celebrities).